In September of 1991, Utah’s Zion National Park was my first stop on a 10-day trip through the Southwest, with Bryce Canyon the mid-point, and the North Rim of the Grand Canyon the grand finale. 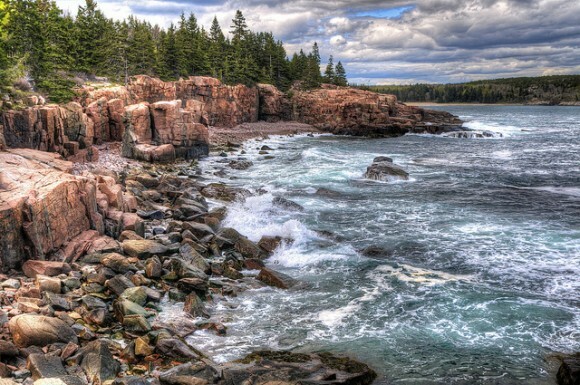 It would take me nearly twenty-five more years to make my way to the opposing northeastern national park compass point, Acadia, in coastal Maine, the last national park that I’ve visited over the past six decades. In May, I received an e-mail from Staci Burt at Mark Wood’s publisher, Thomas Dunne Books, offering to send me a copy of Lassoing the Sun: A Year in America’s National Parks to read and review. “I’m doing a fair number of stories about the national parks this year, and have reviewed two books about the parks, so I’d be happy to take a look at Mark’s book. UPS delivered the book on June 1st, just about a week before I hopped a flight to Boston to begin a two-week-plus trip through New England. I put it on my bookshelf, and there it sat, and sat, and sat. Around mid-August, about a week or so before the National Park Service was set to celebrate its centennial, I finally found time to sit down and read Lassoing the Sun. Most “wage-slaves” could only dream of spending an entire year off-work traveling to their favorite places before coming home to write about what they experienced. But Woods had the good fortune to win a Eugene C. Pulliam Fellowship that funded his January-to-December sojourn, an employer willing to give him the necessary time off to travel to the national parks, and a family supporting this once-in-a-lifetime opportunity. And as it turns out, readers of Lassoing the Sun share indirectly in Woods’ fortune. At first, I thought the book would be a mere recounting of scenery seen, animals and birds checked off life lists, and a glorification of what the Western writer, Wallace Stegner, called “America’s best idea,” a phrase that documentary filmmaker, Ken Burns, incorporated into the title of his 2009 PBS television series about the national parks. 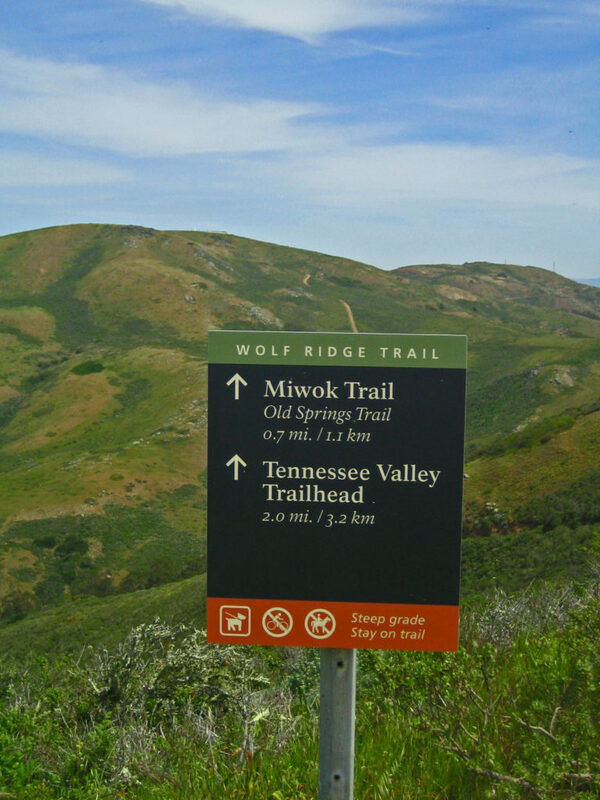 Instead, by providing readers with a memoir of not only that year-in-the-parks, but his years-before-in-the-parks, Woods helps those who have, perhaps from childhood through adulthood, spent at least a bit of their vacation time in national parks, to reconnect with memories of those visits whether recent, or long past. As a young kid, during winter I went sledding in Mount Rainer National Park, not far from my home in Seattle. 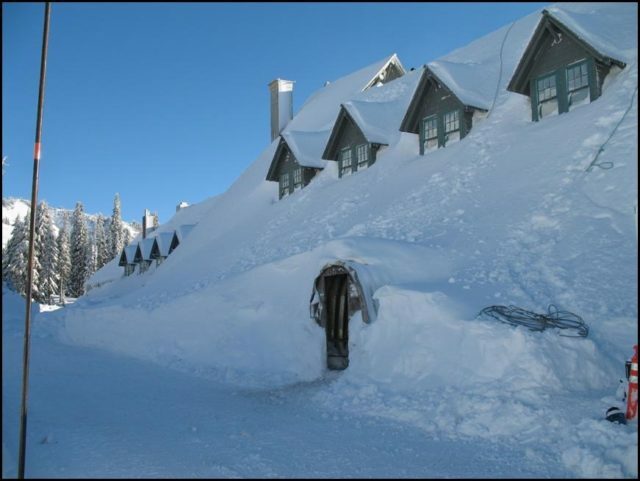 I remember the snow was piled so high against the side of the Paradise Inn that you had to walk through a long tunnel of the white stuff to get inside of the building. And when I was a Boy Scout, I went to summer camp near Olympic National Park, in the big wedge of Washington State jammed between Puget Sound on the east and the Pacific Ocean on the west. 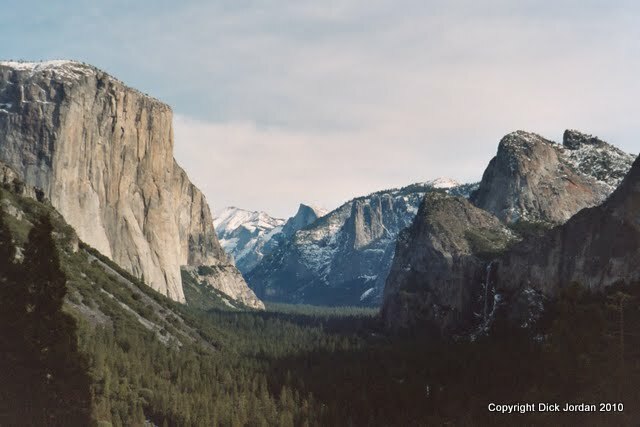 But my initiation into national park vacationing really began in February and March of 1968 when I made two trips to Yosemite along with Bill, my roommate at the Defense Language Institute in Monterey, California. I met a girl from Monterey on those trips. We started dating. Three years later we married. Yosemite and Monterey were our honeymoon destinations. The prologue to Lassoing the Sun is set during a trip Woods made with his wife, kids, and mother to Redwoods National and State Parks in California. 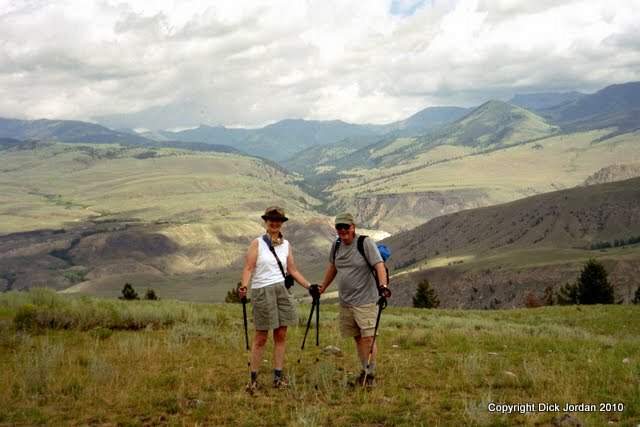 My wife and I roamed through portions of those parks along the state’s northwestern coast during the first summer vacation we took after being married the prior August. Woods’ year on the road to the national parks kicked off on New Year’s Day as he watched the sunrise on the place that some claim that Sol’s rays first touch the U.S.A. each day: Acadia National Park. Like many visitors to Acadia, he made the drive in darkness to the top of Cadillac Mountain so he could catch dawn breaking. But as I found during my stay in mid-June of this year, the view is just as grand if you sleep in and hit the summit in late afternoon as shadows begin to lengthen. In February and March, Woods traveled to Saguaro National Park in Tucson, Arizona, named for the many-armed cacti that have spread over the hills and valleys outside of the city. Having been there twice, once in March when it was cold to pleasantly warm, another time in May when the land and air was beginning to become intemperately hot, I understood his fascination with the surrounding Sonoran Desert. “Today in Flagstaff: Snow.” I remember reading that improbable weather forecast as I sat in a San Francisco International Airport terminal waiting to catch a flight to Phoenix and then another on to Flagstaff. I thought to myself “It can’t be snowing, it’s the desert and it’s the third week of April!” But indeed it did snow. A day later, I was driving out of the snow and down through the Painted Desert, then on to Canyon de Chelly, over to Monument Valley and finally, to the South Rim of the Grand Canyon. 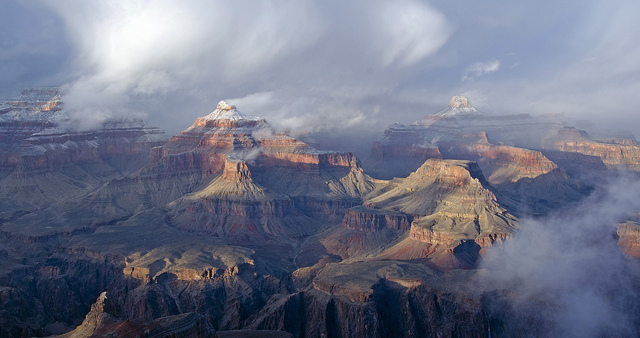 I remember the view across the Colorado River to the north: The only thing like it, I would discover a few years later, is the view from the North Rim across to river to the south. Woods went to the Grand Canyon in April, too. It wasn’t his first trip and, unlike me, he had rafted the Colorado River that winds two-hundred seventy-seven miles through the park. But his rafting story reminded me of floating down a flat-water section of the Snake River in Grand Teton National Park, and the relatively tame white-water stretches of Oregon’s Rogue River, just north Oregon Caves National Monument and south of Crater Lake National Park. As I read Woods’ account of his visit to “The Grandest Canyons,” like replaying an old TV show in my brain, I recalled standing outside of a corral near the South Rim and listening to the wranglers repeatedly reminding the cowboy-wannabes who had intended to ride mules to Phantom Ranch at the bottom of the canyon and then back up to the rim the following day, that discretion is the better part of mule-skinning valor, and no shame comes from backing out of the trip before starting out, only in not having the courage to admit you’re scarred silly until you get half-way down into the canyon and can’t turn back to save your soul. In June, Woods headed off to Yellowstone, the first U.S. national park, created in 1872, 44 years before the National Park Service itself. In the early 1980s I split a week’s time between Yellowstone and Grand Teton National Park, just to the south. With just three days to spend there, my wife and I did a whirlwind drive around much of Yellowstone in a single day: An early breakfast at Yellowstone Lake where we were staying, a mid-day repast at a soda fountain restaurant after a morning spent wandering along the edge of the Grand Canyon of the Yellowstone, then a big sweeping loop north past Roosevelt, west over to Mammoth Hot Springs, and then back southeast to the lake, stopping near dusk to watch a beaver swimming on the river. 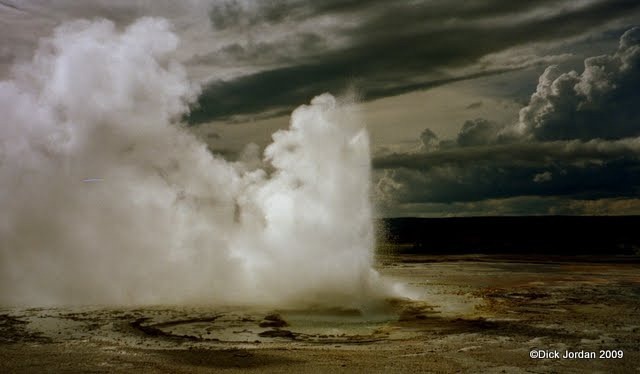 Twenty years later, we spent ten days in the “Mother of All Parks,” three nights each at Mammoth, Old Faithful, and Yellowstone Lake, enough time to experience both the dramatic geyser basins, walk through forests still recovering from the devastating 1988 fire, and hike across meadows with views toward the Absaroka Mountains to the north. One day we had a little-too-close-for-comfort bear sighting: A mother with two cubs, who thankfully, wandered off to the right as we slowly and calmly strolled away to the left. Woods was in the other “Y” park, Yosemite, in August. When we honeymooned there that month in 1971, it was more like being in a theme park than a national park. If Woods had sought our opinion, we would have told him to do as we had done from time to time during the past four decades: Go almost any time of year except summer. But the beauty of Yosemite is that if you just walk a short distance away from the most well-beaten paths, you’ll feel as though that you have the park entirely to yourself, any time of year. September 11, 2001. No American adult is likely to ever forget what he or she was doing the morning of that day. 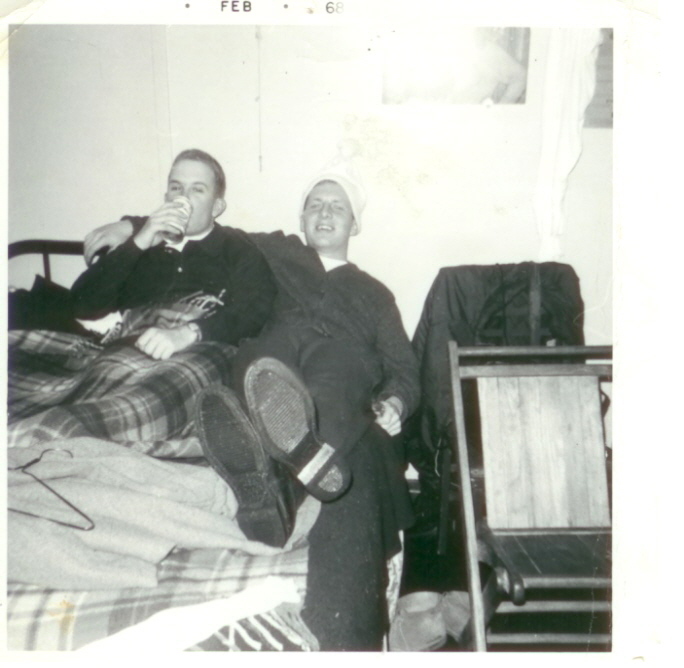 We were brushing our teeth, shaving, showering, listening to the radio. Then we rushed upstairs and turned on the TV and saw what none of us will ever forget. We were lucky. We weren’t on those planes, we weren’t in the World Trade Center or the Pentagon, and we didn’t know anyone who was. But, besides the uncertainty about life in general, we now faced uncertainty about something very specific: A trip to Italy scheduled to commence four days later. All air traffic into, out of, and around the U.S. had ceased. No one knew when it would resume. On the morning of Saturday, September 15, we learned that our scheduled flight to Milan would leave from San Francisco, albeit a few hours late. But we didn’t know if we’d be on it. We had to go to the airport to find that out. The flight left about three hours behind schedule. We were on it. Applause broke out as the plane touched down in Milan. During the next three-plus weeks, we met Americans who had been in Europe on 9/11. 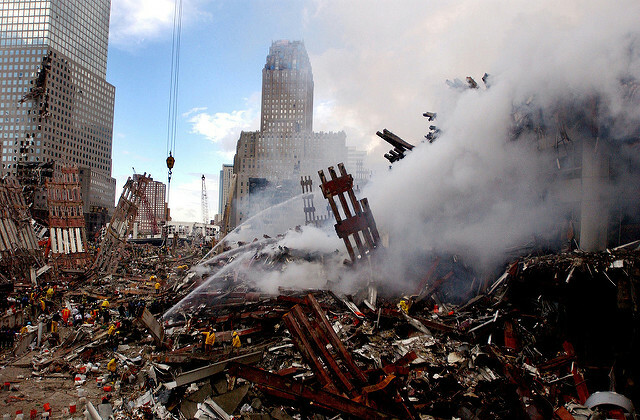 One elderly couple from New York City lived in an apartment near “Ground Zero” whose view was forever changed by the two planes that had flown into the Twin Towers. Others had watched on TVs in shop windows or hotels as the World Trade Center collapsed. All of the Italians we encountered during the trip were mortified by what had happened in the U.S.
All of these memories came flooding back to me as I read Lassoing the Sun because Woods’ September park visit had been to the Flight 93 National Memorial in Pennsylvania with the sister of one of the passengers who had been aboard that ill-fated plane. 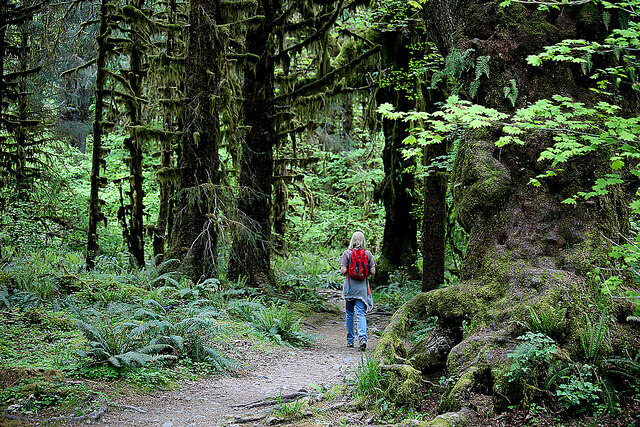 In October, Woods traveled across the county to the Hoh Rain Forest in Washington State’s Olympic National Park where rainfall is measured in feet rather than inches. Once, when I was in college, I had “circumnavigated” the park in a single-day’s 350-mile-plus drive from Seattle and back. In later years, my wife and I took more leisurely jaunts around the park, with stops at Lake Quinault and Kalaloch on the west side, and Lake Crescent and Hurricane Ridge on the north, sometimes behind the wheel of one of my father’s 1970s-vintage Chrysler-made cars, which we dubbed “The Green Slime.” That Detroit-born behemoth rolled and pitched down the highway like an aircraft carrier slicing through heavy seas and its trunk lid looked large enough for helicopters to land on. I have spent many hours hiking and walking in the Golden Gate National Recreation Area near my home in the San Francisco Bay Area, but have never considered going to its East Coast counterpart at the edge of New York City, Gateway National Recreation Area. In May, Woods went to the Dry Tortugas, just to the west of the Florida Keys. Its most famous “visitor” was Dr. Samuel Mudd, who was confined there as a prisoner after being convicted of conspiracy and harboring fugitives John Wilkes Booth and David Harold in connection with the assassination of President Abraham Lincoln. While planning a trip to the Everglades in 2000, I considered going farther south, to Key West, and then on a day-trip to the Dry Tortugas. But instead, I went northwest, to see the northern most reaches of Everglades National Park. Woods drove from Tucson east to his home in Florida along a route I’ve never taken, but he did make one brief stop at a place in Texas that I had long had my eye on reaching, but never gotten to: Big Bend National Park, a bird-watcher’s dreamland along the Rio Grande. Woods’ year of park visits began with sunrise in Acadia. He originally thought about concluding his twelve-month journey in Alaska, but somehow early winter in the 49th state didn’t seem that appealing, so he headed toward a more paradisal destination, the last state to join the Union, Hawaii. 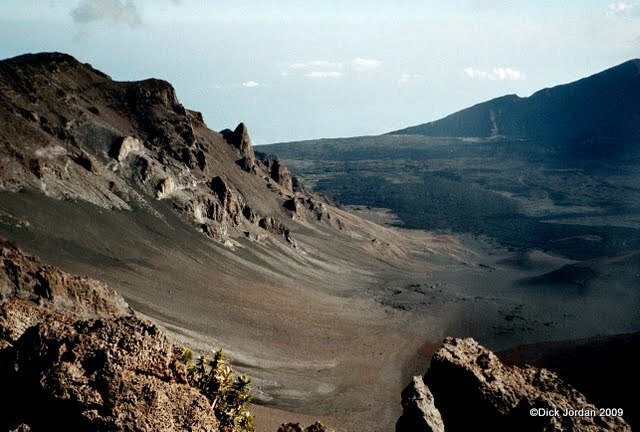 As I read his account of seeing the red taillights of cars crawling up the side of 10,000 foot-plus high Haleakala on Maui in pre-dawn darkness, I remember that in 2004 I had awoken too late to drive up the mountain to catch the sunrise. I borrowed a fleece top and parka from the friend I had been staying with, Bill, my old roommate from the Defense Language Institute in Monterey who had gone with me to Yosemite back in 1968, and after hastily wolfing down a couple of energy bars, I set out for the top of mountain. The sun was well up by the time I reached Haleakala Crater, the wind was cold, and I only had about an hour or two to photograph the crater, the view down-mountain to the ocean, and the endangered Silversword plants, before the clouds rolled in and isolated the summit from the rest of the island below. So what have I told you about Woods and his national park tales? Instead, I’ve passed along my memories of visiting “America’s best idea” over a half-century or so. And that, I think, is what Woods hopes his readers will do: Remember their own pasts trips, while thinking about what the national parks hold in store for future generations. I last saw Bill, my DLI roommate, in August when he arrived from Maui for a quick visit to Northern California. And that girl who I met when I went to Yosemite with him? 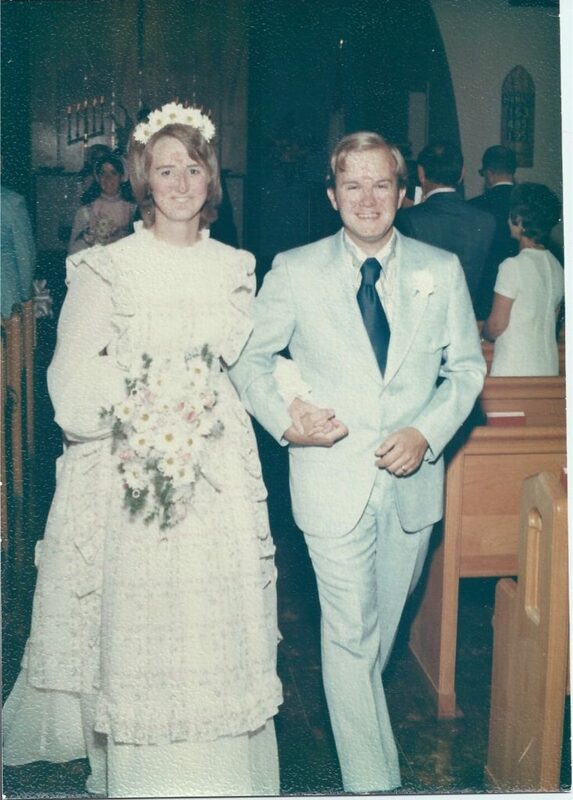 She’s still around forty-eight years later, and while I was writing this review of Lassoing the Sun, we celebrated our forty-fifth wedding anniversary. Thanks for the memories, yours and mine, Mark Woods.